5 full days (Monday-Friday) of paddling and overnight camping on the beautiful New River in Virginia, from McCoy Falls in Virginia to Shanklin’s Ferry in West Virginia, but not before Narrows Falls, great rapids and “Canoe Tricks” on Thursday! 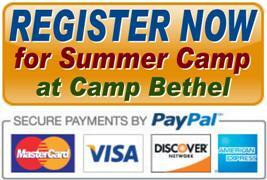 Your week begins spending Sunday evening at Camp Bethel preparing and getting to know your group. Then we depart Monday morning for 5 days and 4 nights on the river: paddling, camping, cooking, playing, and living as Christians as we adventure together. We return to Camp Bethel on Friday in time for clean up and a Eucharist celebration before a closing dinner and 6:30pm dismissal. The trip itenerary may change due to weather, river conditions, or the needs of our group. Your excellent trip leaders are certified by the American Canoe Association, and include Beth & Steve Wiegandt, Joey Johnson, and Camp Bethel Adventure Counselors.